Due to these issues, workers are increasingly losing faith in the scheme, making way for contractors and middlemen to occupy control of the programme. Running a programme as ambitious and wide-reaching as the Mahatma Gandhi National Rural Employment Guarantee Act (MGNREGA) is no small feat. The scheme has contributed significantly to the lives of many rural folk with 234 crore person-days generated in the last financial year. NREGA is a demand-driven programme, which means that if any person from a household with a job card demands work, she is to be provided with it within 15 days. The Act stipulates that households can demand up to 100 days’ of work in a financial year. However, shortage of funds and massive delays in wage payments are undermining the constitutional provisions and systematically destroying the programme. The claims made by the government of massive increase in budgets have been debunked several times in the past. In 2016-17, the original allocation for MGNREGA was Rs 38,500 crore. The rural development ministry then had to seek additional allocation of funds to meet the expenses. In the following financial year, there was much talk about how MGNREGA had the highest allocation of 48,000 crore. In real terms, the increase was of merely Rs 500 crore given that there was a supplementary budget addition of Rs 9,000 crore in the previous year. Further, the government had to add another Rs 7,000 crore to meet the expenses in 2017-18. The same followed in 2018-19 when the budgetary allocation was Rs 55,000 crore, the same as the combined budget of the previous year. As of now, of the 12.8 crore MGNREGA job cards, 7.4 are active as per the official records (a household which has at least one day registered as work done in the last three financial years – including the current one – is termed as having an active job card). The current allocation of Rs 55,000 crore would be insufficient to provide even 50 days of employment even to the active households. As a result, every year by October, about 80% of the funds get exhausted and the administration slows down the sanctioning of funds to states, resulting in a major decline in work in the peak employment season after the paddy harvest. Thrice last year, payments have stopped from the Central government for varied reasons. One of the reasons for freezing payments is a lack of funds at the Central government level. In FY 2017-18, 87% of the funds were exhausted within the first six months and payments to workers were stopped periodically. It is important to note that last year, a late supplementary allocation of Rs 7,000 crore was made by the Centre on top of the original allocation of Rs 48,000 crore when already the pending liabilities were over Rs 11,500 crore. The constant fund crunches and payment delays result in issues for workers who are increasingly losing faith in the scheme, making way for contractors and middlemen to occupy control of the programme. It is worrisome that even this year, about 80% of the MGNREGA funds have already been released to states with five months still to go. The government has not paid any heed to protests and demands of workers, nor has it learnt anything from the experience of the preceding years. This begs the question, is the Central government deliberately allocating insufficient funds for the programme and slowing down its pace, especially in the months when workers are in need of work? A citizen’s group called NREGA Sangharsh Morcha, working on issues of MGNREGA across the country, said in a press note prior to the budget session of the parliament that an allocation of at least Rs 80,000 crore is required to make NREGA function properly at the grassroots level. It is also important to examine the reasons behind several people with job cards not getting work under MGNREGA. 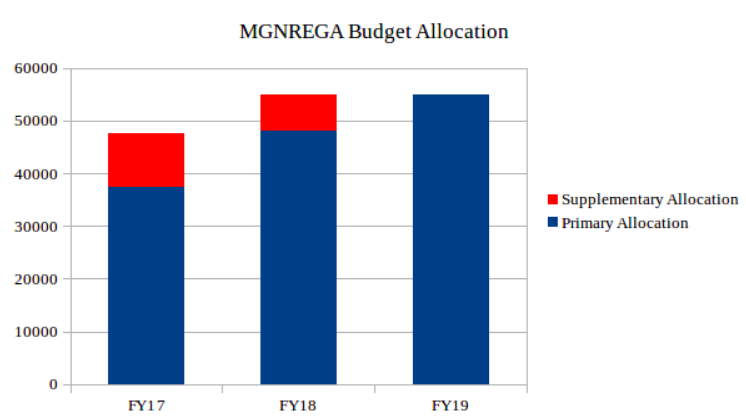 Even a cursory examination of MGNREGA in rural India will show that several people have lost faith in the programme owing to substantial payment delays and weak grievance redressal systems. Wage payments to workers are delayed on several counts. One of the reasons is that the Ministry of Rural Development, which is the parent body for managing and implementing MGNREGA, withholds wage payments for workers of states that do not meet administrative requirements. For example, if a certain state government doesn’t submit the previous financial year’s audited fund statements, utilisation certificates or bank reconciliation certificates within a stipulated time frame, payments to workers are withheld. Given that all payments happen directly to the bank accounts of workers from the Central government’s coffers, workers are penalised because the state government is slacking. Such delays are not compensated either. As far as the worker is concerned, she is to be paid within 15 days of completing the work. It is the state government’s responsibility to make a fund transfer order and the Central government’s responsibility to transfer the funds as per the order into the worker’s bank account. However, studies done based on government data in FY’17 and FY’18 show that there are glaring delays on the part of the Centre. While the government has acknowledged the delay, it has done nothing to correct it or compensate the workers for delays on their part. Fund crisis at the peak of employment season and long payment delays have made matters worse for workers. 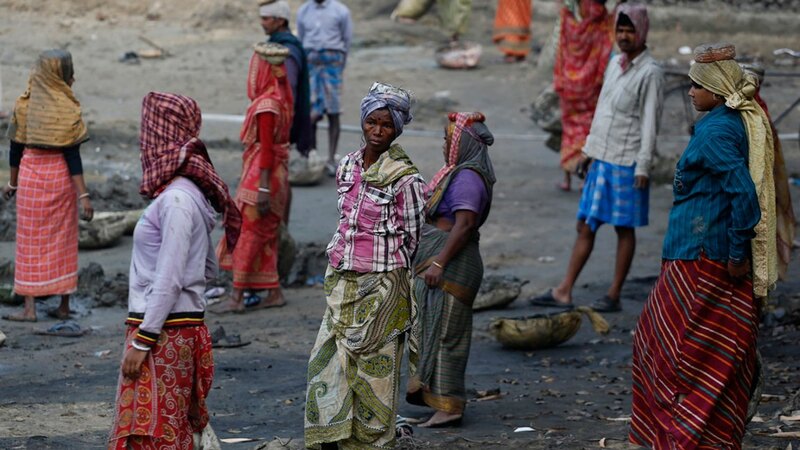 Additionally, meagre wage rates in MGNREGA mean that the programme is not lucrative enough for workers. In 17 states they are lower than the state’s agricultural minimum wage. All this is resulting in the weakening of the Act. With elections on the horizon, it remains to be seen how the government responds to the demands of 7.4 crore MGNREGA labourers who are working with the expectation of timely wage payments and respectable daily wage rates. Sakina Dhorajiwala works with Libtech India and Debmalya Nandy is a social worker.